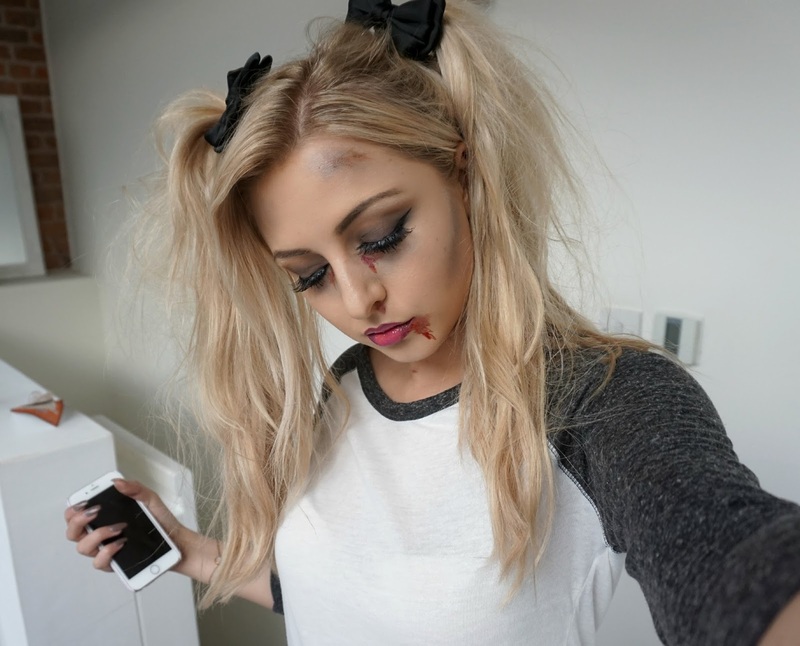 So tomorrow is Halloween and that means scary nights in watching horror movies or parties where you get dressed up in your best spooky outfits! I'm going to be having a night in with friends tonight watching scary movies and eating Halloween treats but I do love a bit of fancy dress and loved dressing up as a skeleton to the Gleam As Darkness Falls party last week. 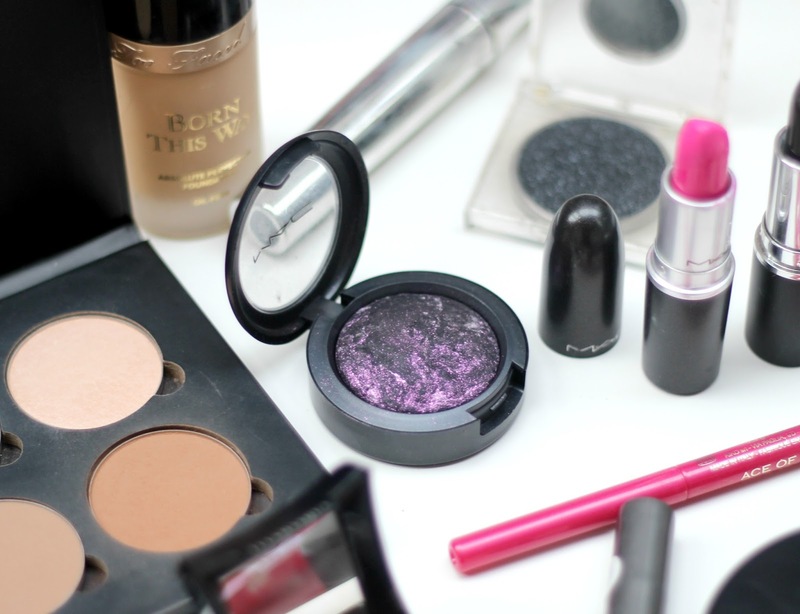 This got me thinking about what else I could dress up as this Halloween and I decided to spend an afternoon playing around with products I already had to see if I could create a really cheap and more importantly easy Halloween makeup look. 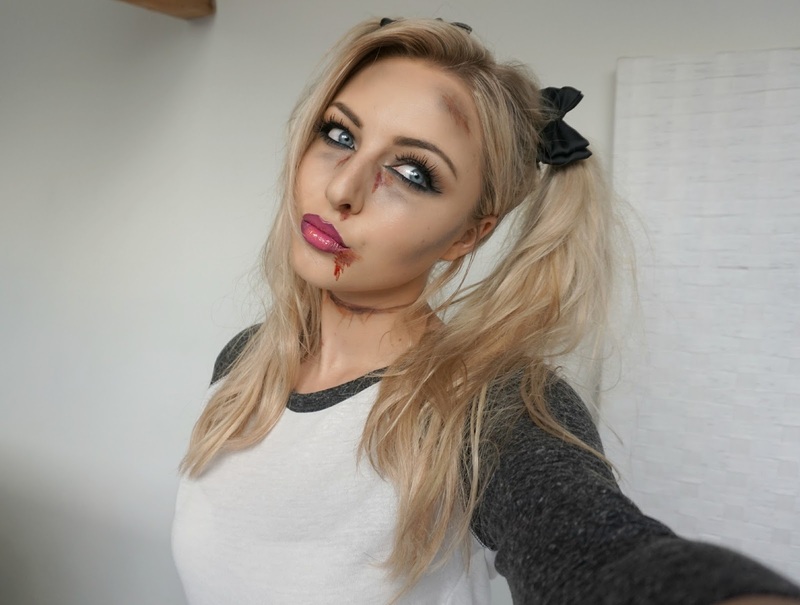 I decided to go for a 'Zombie Cheerleader' look and I love the mix of girly and scary so if you're still struggling for ideas, here's how you can recreate this look at home. 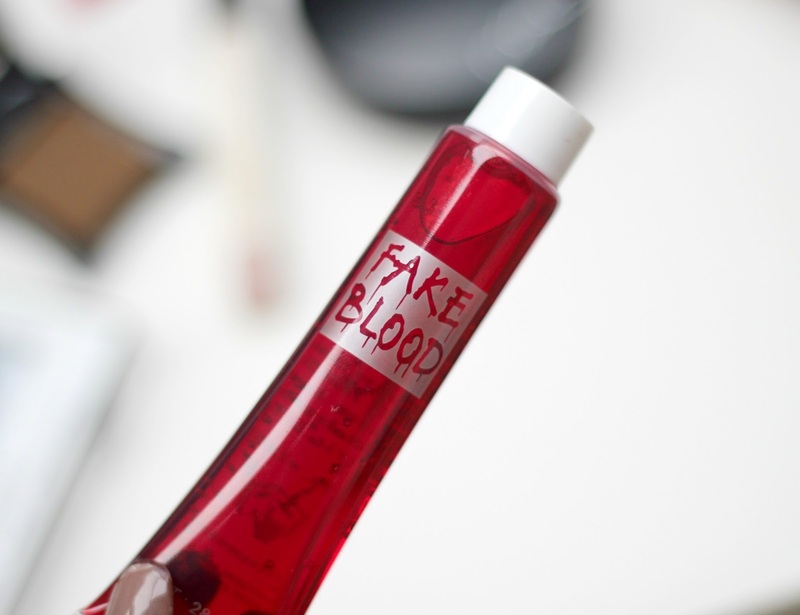 The only thing you'll need to buy is some fake blood! So the first thing I did was my base and I just did this as I normally would - foundation, concealer and set with a powder. I've been loving the Too Faced Born This Way foundation recently (full review coming soon) so I applied that all over my skin and then popped my favourite Maybelline Eraser concealer to cover dark circles and brighten my under eye area. I then dusted my MAC Mineralise Skinfinish Natural all over my face to set the foundation and concealer. Next, I moved onto my eyes. 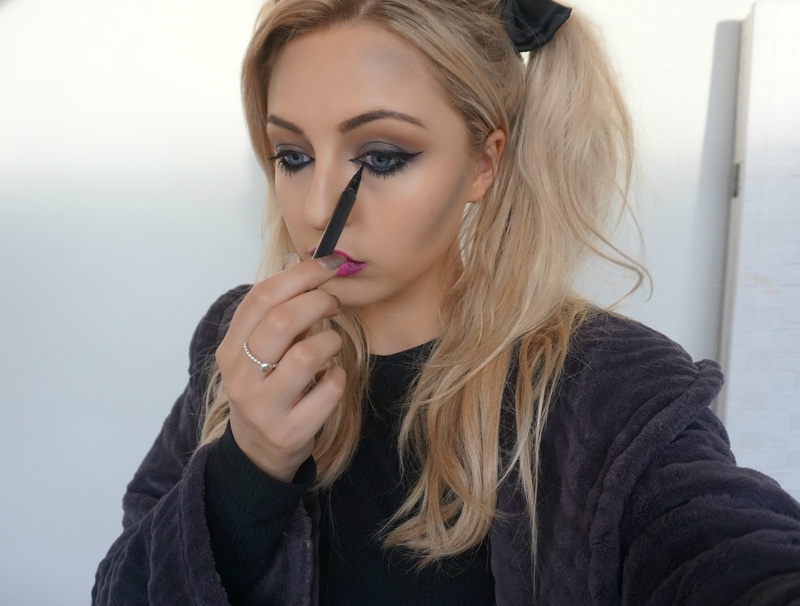 I started by filling in my brows with the Illamasqua eyebrow cake and simply darkened them up a touch. I decided to go for quite a smokey look on the eyes so I started by deepening the crease with one of the contour shades from my Anastasia Beverley Hills contour palette (bottom row, middle shade). This creates a really lovely depth to the eye and is something I'd use when doing my makeup for a night out, not just for Halloween. To smoke things up, I added a black MAC eyeshadow with beautiful purple glitter running through it (I believe this was a limited edition shade) all over the lid and then blended it into the contour colour. I then added a black glitter eyeshadow underneath my eyes and again, blended it out. You can use any black eyeshadow to re-create this look - these are just two I found it my collection! To finish off the eyes, I added some of my NARS Copacabana illuminator to the tear ducts and brow bone as well as lots of liquid liner and pencil liner in my water line. I also did bigger cat flicks that I normally would with my liquid liner and also brought the line past my tear duct which I actually really like. Again, I might actually do that for my next big night out! I also added some Backstage Beauty 'Chealsea' lashes and they're so perfect for this kind of look - big, fluttery and dramatic. 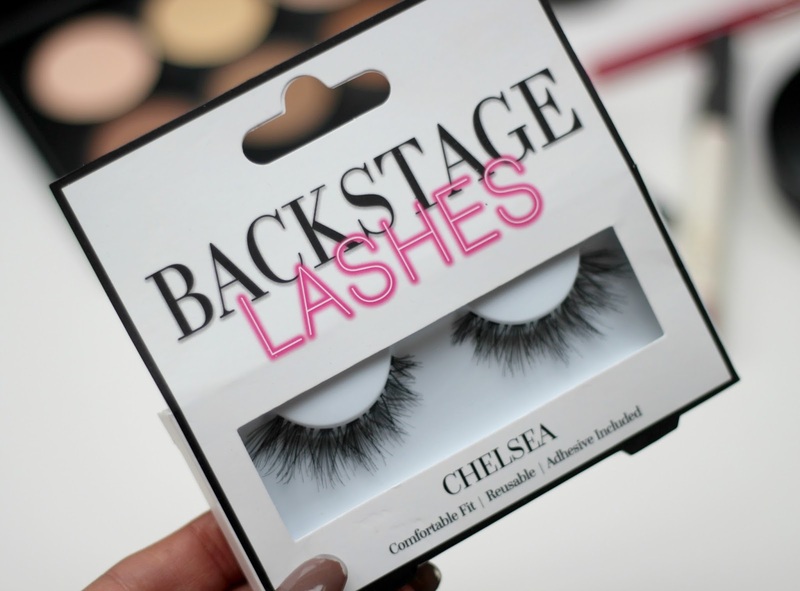 I really love this brand of lashes so I'd recommend you check them out ladies! Next up is the lips and I wanted them to be bright pink and girly with a scary twist to vamp things up a bit. 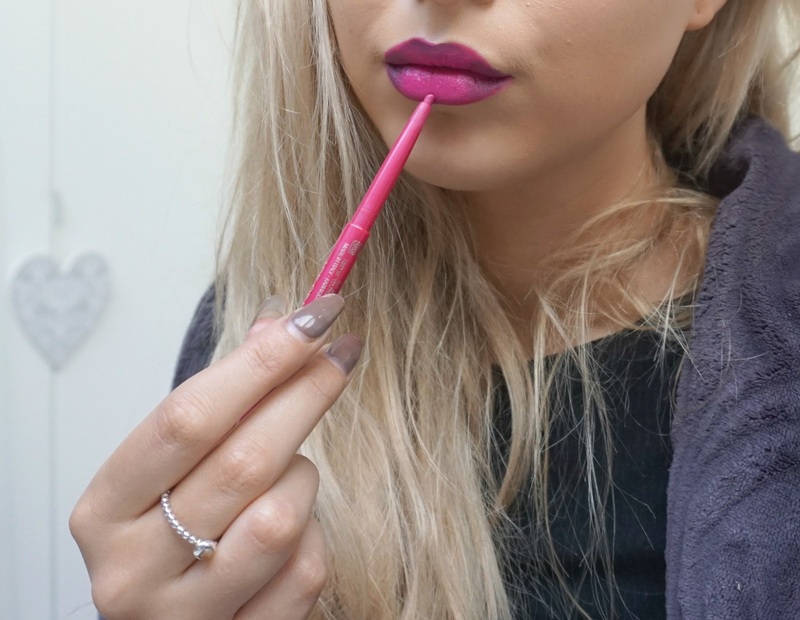 I began by lining and filling my lips with KIKO's Ace of Diamond lip liner (limited edition I'm afraid) and then added MAC 'Candy Yum Yum' lipstick to the centre of my lips for a really vibrant pop of colour. I then created an ombre look by using a Beauty UK black lipstick around the edges and blending it in. I always thought ombre lips would be really difficult to create but it was actually super simple so don't be scared to give it a try. 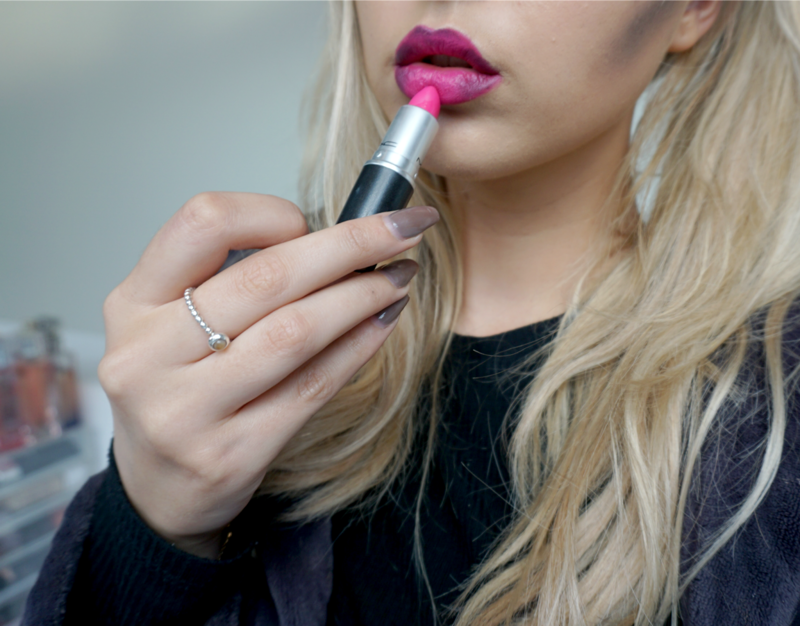 All you need it a darker colour than the one you've used all over the lips. For example, you could do a light pink lips with a darker pink, red or berry shade on the edges if you don't have a black lipstick! The possibilities are endless really. After doing the eyes and lips, I went a little bit contour crazy. 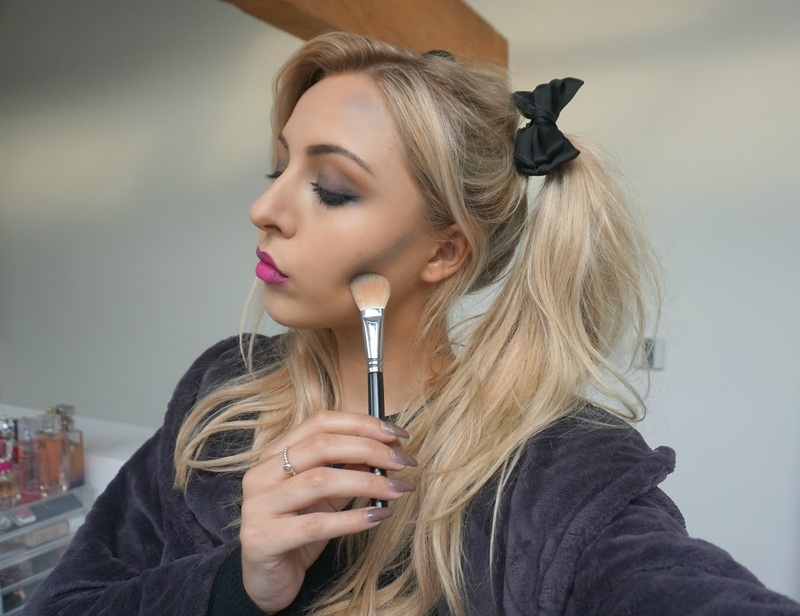 I started by adding my normal contour colour from the Anastasia Beverley Hills contour kit (same colour I used on the eyes) but I then added some of the black eyeshadow on top to really hollow out my cheekbones and create that zombie look I was going for. I also added some on the sides of my forehead, on my nose and along my jaw line too. I made sure I blended it all in nicely so there wasn't any harsh lines and I really loved the effect. To finish everything off, it was time to add the fake blood! This is where you can really go to town and make everything that bit more creepy looking! I added it to the corner of my mouth, in both tearducts, my nose and blended some into the black contouring on my forehead to make it look bruised. I also added some to my neck along with black eyeshadow to make it look like my neck had been slit - ew!! When the makeup was done, I tied my hair up in high pigtails and added some cute little bows for that cute cheerleader look and wore a little sports jersey top. If I was actually going out wearing this I'd have worn the top with a little skater skirt, knee high socks, trainers and some pom poms. Zombie cheerleader, done!! Overall I really like this look for Halloween and as I said, it was so cheap and easy to create. I know what I'll be going as next year!! I hope this has given you a bit of inspiration and if you do try this out, be sure to let me know!! You can tweet me @k_leexjx or tag me on Instagram @kayleighjcouture. Happy Halloween everyone!! Love this! Especially the addition of a zombie contour look. 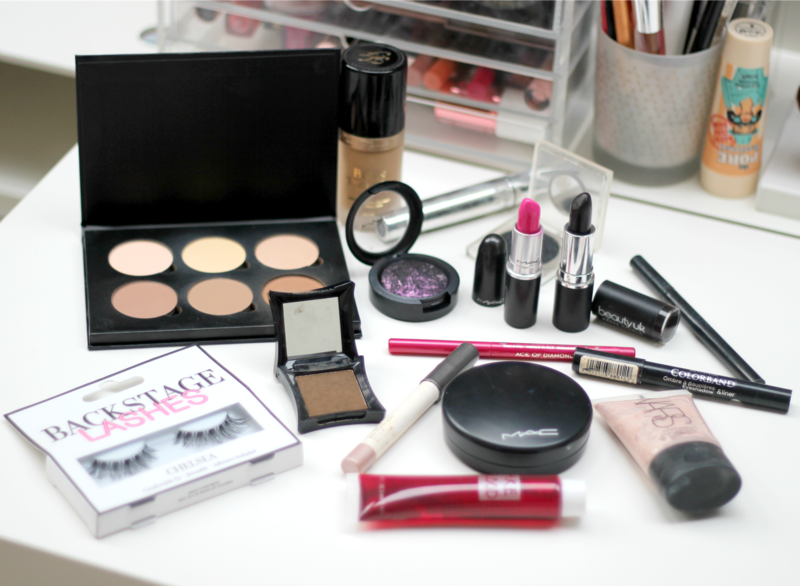 This makeup look is perfect, I'll probably be giving this a go tomorrow! Super cute look! I love it! 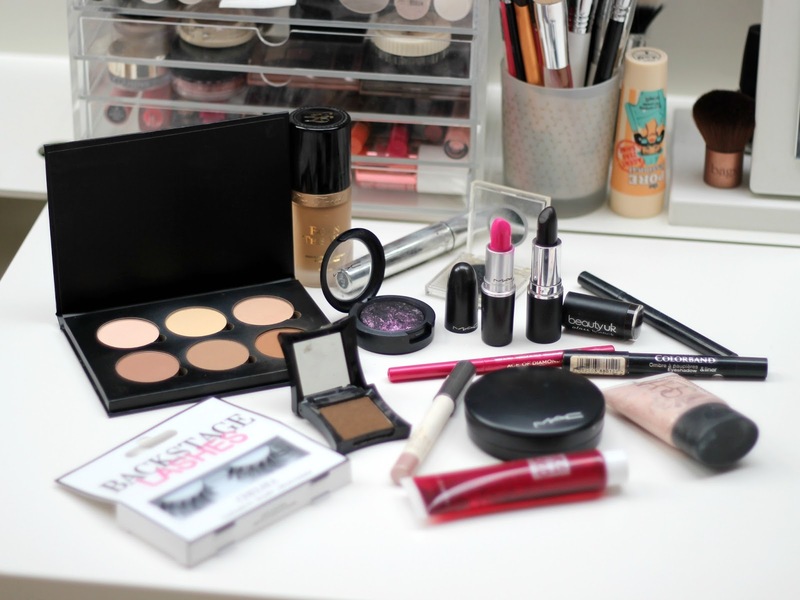 Amazing makeup - looks so good! Such a great look but wearable too! 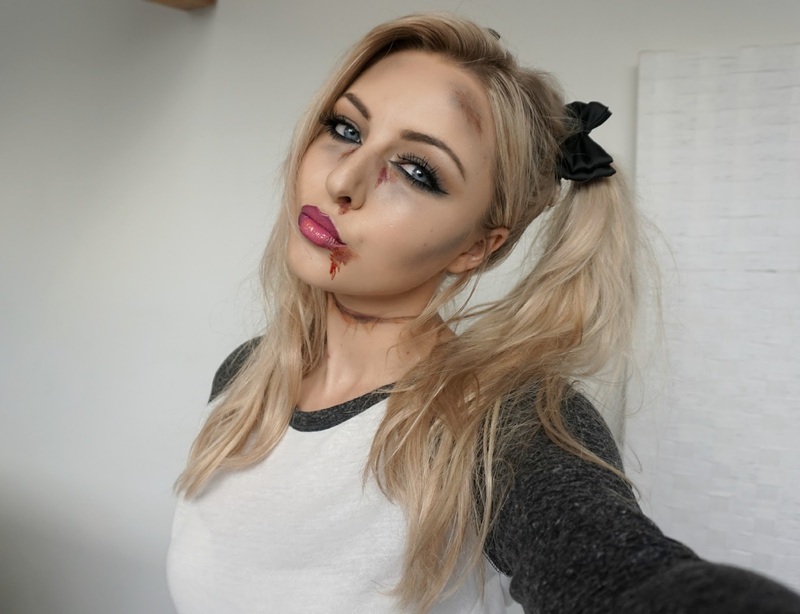 You achieved a fabulous zombie cheerleader look with that makeup but your eyes and lips look gorgeous!!! I love the I love your winged eyeliner with the big cat flicks, your Backstage 'Chelsea' lashes and the colours of your MAC 'Candy Yum Yum' lipstick and the KIKO's Ace of Diamond lip liner. I also love the combined look of your Anastasia Beverly Hills contour palette and MAC black glitter eyeshadow. Love your blog! I just followed you basically everywhere!